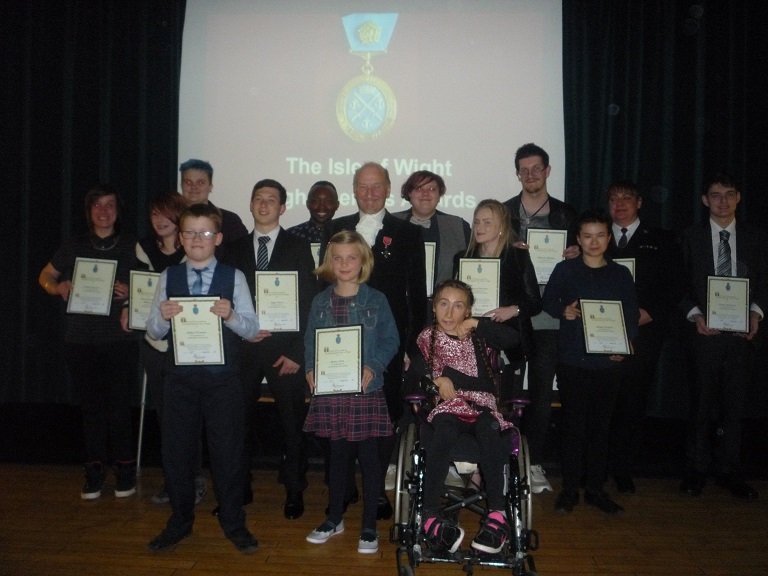 Describing the IW High Sheriff’s Awards 2017 as the highlight of his year in post, Robin Courage MBE said he had two weeks left to serve. While welcoming guests to the Awards Ceremony, Robin said he was pleased to be giving awards to some very special young people. He also introduced his successor Ben Rouse, who was accompanied by his wife Leah. In the audience, were a number of former High Sheriffs from the Isle of Wight. For the awards Robin read the citations before handing out the awards. 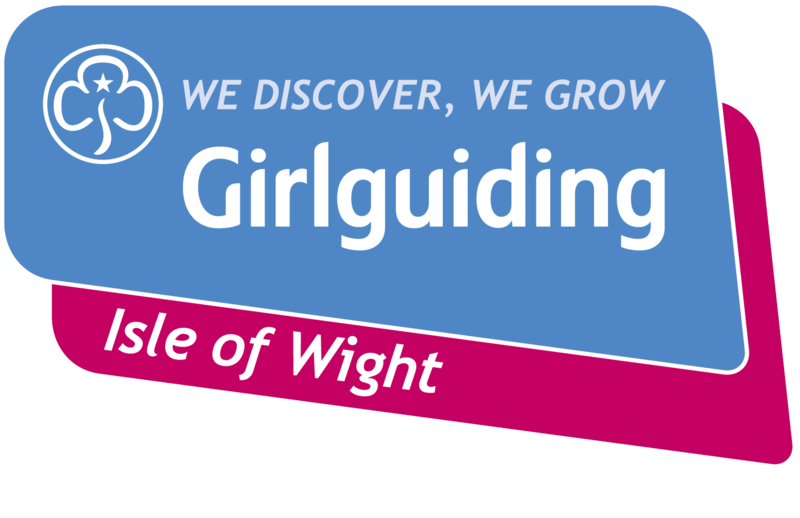 We are highlighting three of the younger recipients of the Awards together with a young man from Kenya who has made the Island his home at this time and Natasha Lambert BEM who is a member of Girlguiding IW with Gurnard Adventurers (Rangers). Taylor Bates did not enjoy school and struggled in the classroom. Having always been in trouble the turning point came when he enrolled with the Military Preparation College. He has improved his physical fitness and now hopes to join the Army. Having turned his life around he was described as a useful and effective young man. Spike O’Connor first attended St. Catherine’s School, Ventnor as a day student in 2014. He has motor function difficulties and was a fussy eater. Now aged 11 he has grown in confidence and made progress with Maths and his handwriting. Spike is now known to load his plate at lunchtime and is described as polite, kind and helpful at school. Spike has also joined the Scouts. Hettie Bell (9) has a special relationship with her grandfather. When his eye cancer returned after 15 years it was realised it was terminal. Hettie vowed to raise funds for the Earl Mountbatten Hospice. She embarked on a year’s fundraising involving cake making and raffles as well as having her long hair cut off for the Little Princess Trust. She was called brave and inspirational. Joseph Thumbi Wangige was born in Kenya and became one of the street children there, where he had to cope with cold winters and gang warfare. Learning to play football was his saving grace. Thanks to a sponsor he obtained a Visa in 2015 to study in England. At IW College he secured a BTEC level3 and is now considering several university offers. A regular player with Newport FC he also coaches younger footballers. Natasha Lambert suffers from a form of cerebral palsy, which causes some of her brain messages to go astray. Her father developed the sip and puff method which enables Natasha to go sailing. Although unable to stand unaided she has managed to scale two formidable hills in Wales and Scotland with the aid of a special walking aid, raising money for the RNLI and the Ellen MacArthur Cancer Trust. Recently Natasha took part in Girlguiding IWs INTOPS event. High Sheriff Robin Courage MBE said at the end of the presentations that as the post of High Sheriff involved Law and Order he wished to give a special award for Service to the Community. Thanks to their tireless work on the Island which was rarely recognised publicly he wished to honour the Isle of Wight District of the Hampshire Constabulary. 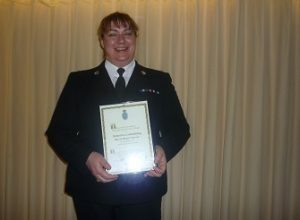 This award was received by Superintendent Sarah Jackson, the officer in charge of the Island’s 180 strong police force. Others receiving Awards were: Michaela Foster, Jasmine Wood, Jacob Sebastian, William Phillips, Rebecca Christian, French Barlow and Shayne Jackson.